It started with me watching a music video about The Great Gatsby movie, and that sparked my interest. 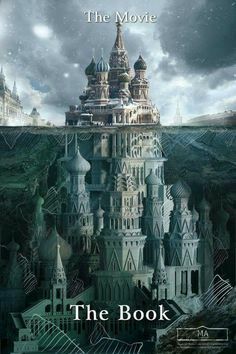 I knew it was based on a book, that said book was a classic, and that we owned that book, so I decided before I watched the movie, I would read the book. 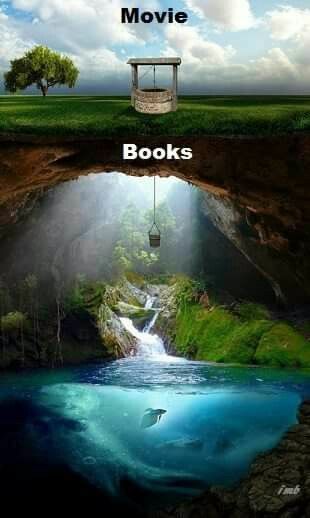 Because the book is always so much better then the movie. Ya. So, I started, and finished The Great Gatsby. Here's what I thought. The Great Gatsby follows Mr. Carraway, who moves to West Egg Island, and ends up living next to Jay Gatsby, the richest man around. 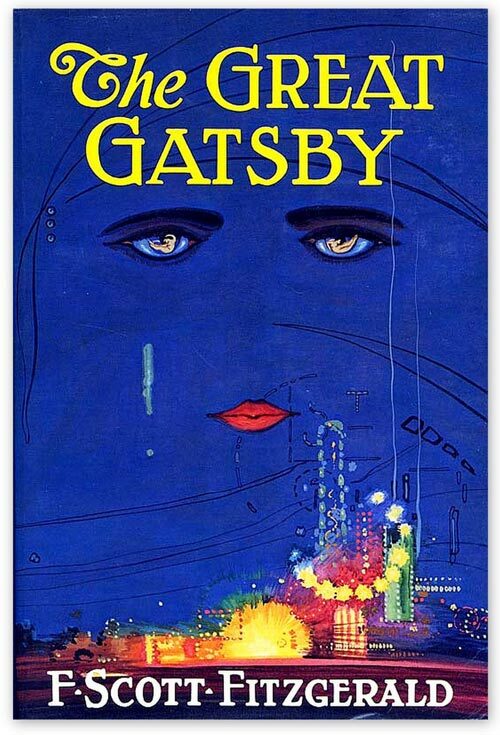 Carraway and Gatsby form a some-what strange friendship, and Gatsby realizes that Carraway is an acquaintance of Daisy Buchanan, his long-lost lover from before the war. He convinces Carraway to arrange a meeting between them, and finally is reunited with Daisy. But a series of un-foreseen events takes place, and in the end teaches a powerful lesson about wealth, social standing, and how empty these things really are. First, I can't really go much more in depth with out major spoilers, because, well, just because. So if you don't want to know how it ends, you should stop reading... If you know have read it, or don't really care, please read on! It was a beautiful book. Really it was. Fitzgerald had this astounding way of painting a picture in your mind. Not just pictures of the setting, or house, or lovely scenery, but he painted ideas into your mind. He created opinions and ideas about the characters, the story. It sounds strange, but that's really what I felt when I finished the book. I thought the G.G. was a pleasant, romantic story, but it wasn't till the last chapter or two, that it's messages really hit home. I have to mention one problem though. After Gatsby meets up with Daisy, they both begin to fall in love with each other again. The problem? Daisy is married to Tom Buchanan. I know that sounds like a major problem in the story, but it doesn't dwell on that much at all. I believe Gatsby and Daisy only kiss once, and if they do anything else, it wasn't brought into the story. That was good. So besides the fact that that is totally wrong for them both to be doing that, at least it wasn't turned into a steamy love affair. Up until the last few chapters of the story, I had just found it a romantic drama of sorts, about an eccentric millionaire having an affair. But then **SPOILER** Gatsby was murdered in his own back yard. Murdered by the husband of a woman Daisy had hit when she was driving Gatsby's car. Murdered because this man thought it was Gatsby who had killed his unfaithful wife. Gatsby was shot dead. It shocked me. I was truly shocked and horrified. It seemed like I read the rest of the book in a daze. Like none of it mattered, because Gatsby was dead, and what was the point of the story then? And it was then that I realized what Fitzgerald had done with his writing. He had built this idea in my mind, this image. He had blinded me by the great parties, and forbidden romance, and overwhelming wealth, and built the idea that Gatsby couldn't die. That Gatsby was too rich, and young, charismatic and romantic to die. But he did. And when he died, no one cared. When he died, only three people came to his funeral. His father, Mr. Carraway, and a man he had never met. Daisy didn't come. His hundreds of friends didn't come. Honestly, I think that's the point Fitzgerald wanted to prove. Gatsby was what the world would consider perfect. Rich, intriguing, successful, handsome. Someone who had built their present life out of nothing. Someone memorable. So when Gatsby died, it was like a punch to the gut. Because wealth doesn't make you immortal. Because it's all really empty and pointless. Because no one remembered him after that. And because it showed who Gatsby really was: a man, not really Jay Gatsby at all, but Jimmy Gatz, chasing the past. A man trying to get the woman he loved back, and trying to become the rich Jay Gatsby he had dreamed of being since he was 17. And in doing that: in trying to re-create the past, and get Daisy back, he forgot the present, and was blind to the future. So in the end, this was an intensely powerful book, and I highly recommend it. It shakes you up, and opens your eyes to so many relevant ideas. But most importantly, it challenges the instinct in us all to hold on to the past like it is our present, and will be our future. "And as I sat there brooding on the old, unknown world, I thought of Gatsby's wonder when he first picked out the green light at the end of Daisy's dock. He had come a long way to this blue lawn, and his dream must have seemed so close that he could hardly fail to grasp it. He did not know that it was already behind him, somewhere back in that vast obscurity beyond the city, where the dark fields of the republic rolled on under the night. A great review! You really get around all the good points of the book! But the ending was so sad!! The part where almost no one came to the funeral almost had me in tears. But as you said, that really proved a point! Why thank you! I hoped that it would make sense to read, it was rather rambled. Yes. That part was so awful. Oh, I'm so glad you reviewed this!! I've wavered about reading this one for absolute ages. I read two collections of Fitzgerald's short stories last year(?) -- Tales from the Jazz Age and Flappers and Philosophers and each one had stories I wasn't crazy about and others that completely captured me. And whether I "liked" them or not, they colored my imagination in ways I'd absolutely NEVER expected. Stop, I have to quote you: "Fitzgerald had this astounding way of painting a picture in your mind. Not just pictures of the setting, or house, or lovely scenery, but he painted ideas into your mind." That's it EXACTLY. So astounding! Yay! I'm glad this hopefully helped!!! Oh cool!! Short stories?? Hmmm... I might have some new library material next time we go! Isn't that amazing, how he can paint ideas in your head? I mean the first bit I was reading the book, I was like, "I've heard so much about his writing... But I'm not finding it that amazing.." And then Gatsby died, and I realized the ideas he had slowly put in my mind. Then I realized how amazing it was. I'm so glad I could help!! And I am definitely going to add more of his books to my TBR list. Wonderful review, Abigail! 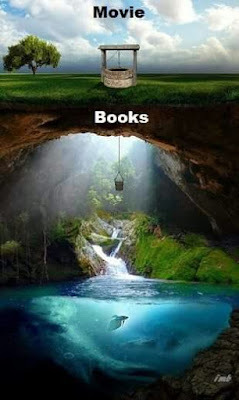 It made me think quite a lot myself, even without reading the book :-) That's so true--we can't just live in the past and ignore the future. And we can't just live in the present and ignore the future, either. Because our future with God is what REALLY matters--not what's happening right now or what happened ten years ago. Thanks for sharing this with us! So, this book and I...I've read it twice, but I just can't get into it. It's absolutely stunningly written, as you said, but...I dunno. Something just doesn't click. Ya, I feel you... After all I had heard about Fitzgerald, I was sorta disappointed with the actual story, I didn't fall in love with any of the characters like I have with other stories, so it felt sorta average. Until Gatsby died, that is, and Fitzgerald expertly proved his point. I will definitely read more of his stuff though, because I was quite impressed with it in the end, and I would like to see if the rest of his stuff is that surprising. Maybe some will be better! Thank you!! I found it quite amazing what he pulled off... But when no one came to the funeral I got mad to. 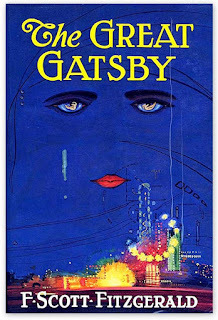 I loathed Daisy, and all of Gatsby's "friends".. Ya. I must admit, the ending was one of the most wonderful ending's I've read. It was so stark and striking, sad and beautiful. Gah. Well done! You totally got the point of the book, which escaped me when I first read this in my early 20s. Back then, I threw it down in disgust and wailed, "That was so pointless!" not realizing that... pointlessness WAS the point. Gatsby's life as built on an illusion, and when the illusion crumbled, nothing was left. It was pointless. I haven't watched any movie versions of it, though I'd like to see this new one. Thank you!! That is a good point... Unless you see the point that Fitzgerald was trying to make, it will seem utterly pointless. His life was really a illusion as you said. It was just a pointless dream. Same, but I would love to see the 2012 version.